Revolutionizing the hot meal experience! 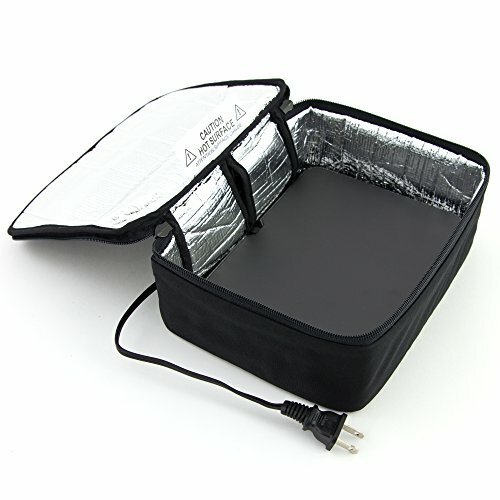 The patented Hot Logic Mini is a personal portable oven great for the office, the job site, the campsite or anywhere you have an outlet. 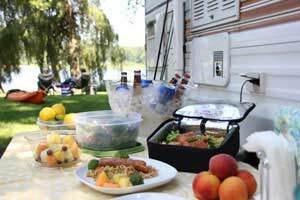 Now you can enjoy fresh-cooked hot meals, reheated meals or perfectly cooked prepackaged meals anywhere. 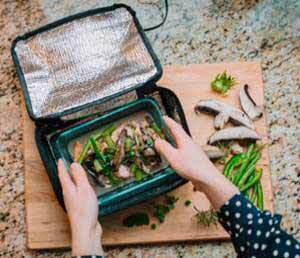 The Hot Logic Mini slowly and evenly heats your meal to preserve moisture and enhance flavor. No super-hot overcooked edges, no frozen centers and no worries about sharing a dirty microwave. 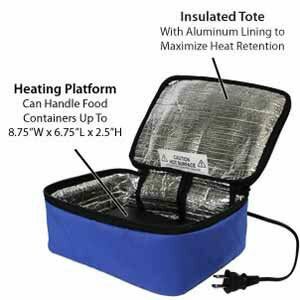 Suitable for plastic, metal, glass, aluminum foil and cardboard containers! 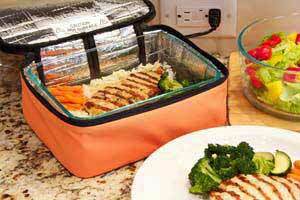 Place food in tote - Choose your favorite fresh or prepared meal from the refrigerator or freezer. Go about your day - Simply plug in the HotLogic Mini and enjoy your daily activities knowing that your HotLogic Mini is safely warming your meal. Eat and enjoy - This is the best part. You deserve to enjoy a wonderful hot meal.The HotLogic Mini makes sure it's cooked to perfection and ready when you are. As with most first-of-its-kind products, HotLogic is not the easiest to explain to someone who hasn't used it before. Imagine trying to explain what a vacuum cleaner to someone who lived in the 1850s or explaining a microwave to your great grandmother when she was a girl. A "slow cooking oven" is an accurate description of HotLogic, and one we use sometimes when we're using it more like an oven. The truth is that this isn't 100% accurate simply because it's not broad enough. HotLogic can also be used to reheat food perfectly without overcooking it, so it's kind of like a microwave…kind of. When you're cooking slow roasts, baked potatoes or the sort, you can use it like a crock pot (that knows when to turn off and stop cooking things to mush). HotLogic may be like all these things, but it still doesn't come close to being in the same category with any of them. Why doesn't HotLogic fit into any of these categories? Because of one simple reason: Unlike all these other appliances, HotLogic is timeless. 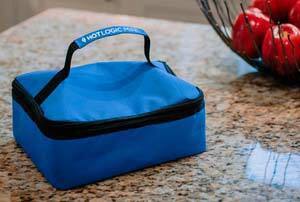 Not in the classic design sense, but quite literally: HotLogic removes any and all time constraints to your meal times. Once it's done, it's ready – right then, or 12 hours from then. The amount of time you wait to eat it won't make your meal overcooked, or mushy, or with crispy edges. It doesn't matter whether you're cooking uncooked, frozen chicken breasts with fresh beans on top or reheating last night's pizza: HotLogic knows when you're meal is cooked, and when it is, it holds it at a save, delicious temperature until you're ready to eat it. THIS is what makes HotLogic so difficult to describe. It does something that literally NOTHING else can do! It frees you from checking the crock pot, sticking around the house because the oven is on, and relying on the microwave's always-inconsistent reheating. All it takes is the tiniest shift in how you go about your day. 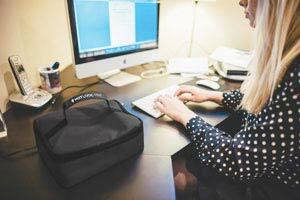 Planning just 12 hours ahead can make the difference between breakfast that's hot and ready for you when you wake up and dinner that's ready for you when you get home from work, and a day dictated by meal prep times. If you have any questions about this product by Hot Logic, contact us by completing and submitting the form below. If you are looking for a specif part number, please include it with your message.